Atletico Madrid host Inter Milan in their final International Champions Cup match at the Wanda Metropolitano Stadium. Diego Simeone's side can grab a confidence building win before setting their sights on Real Madrid in the European Super Cup. The Spanish Europa League champions are set to rest a number of key players in preparation for their Super Cup clash with Real Madrid. It’s been a tough pre-season for Los Rojiblancos losing both of their fixtures in the International Champions Cup. Atletico opened their campaign with a loss on penalties to Arsenal before a 3-2 defeat to PSG in Singapore. Koke, Saul Niguez and Antoine Griezmann are set to miss the clash and could be joined on the sidelines by Diego Costa and Thomas Lemar. Goalkeeper Jan Oblak, Kevin Gameiro, Junanfran and striker Luciano Vietto are all likely to see playing time against the visitors. Inter Milan are set to be without Croatian pair Ivan Perisic and the recently loaned Sime Vrsaljko, with both players still enjoying time off from the World Cup. The Italians were able to enjoy their first victory of the competition, with a 1-0 win over Lyon in their last outing. Luciano Spalletti may opt to give new signing and former Roma midfielder Radja Nainggolan some valuable playing time. Argentinian hitman Mario Icardi is expected to spearhead an attack that will include Kwadwo Asamoah on the left flank. These two sides clashed in the UEFA Super Cup in 2010 at the Stade Louis II, Monaco. Atletico Madrid overcame Milan on that occasion winning 2-0. 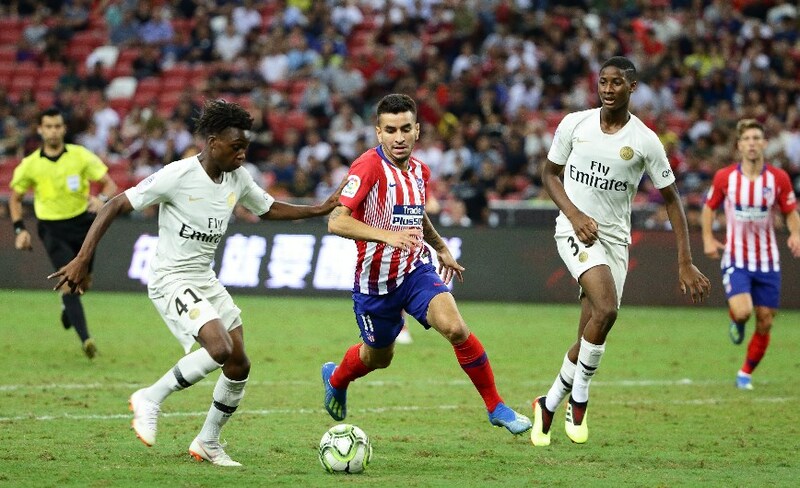 Angel Correa looms as a threat on the right side of midfield for the home side. The Argentinian young gun has combined well with Luciano Vietto at U/20 level for the national side and has the ability to create something out of nothing. With Kwado Asmoah pushing further up the field Dalbert could be called upon to fill in at left back, providing the likes of Correa and Vietto to threaten on the right flank for the home side. Inter have struggled during the pre-season and Atletico will welcome the opportunity to grab a much-needed victory in front of their home fans. Atletico Madrid have won 6 of their last 9 matches (All Competitions). Atletico Madrid have scored 3 goals in their last 2 matches (ICC). Inter Milan are unbeaten in 12 of their last 16 matches (All Competitions). Inter Milan have conceded in 8 of their last 11 matches (All Competitions). Atletico Madrid have won their last six games at home going back to last season and should be too strong for the visitors.